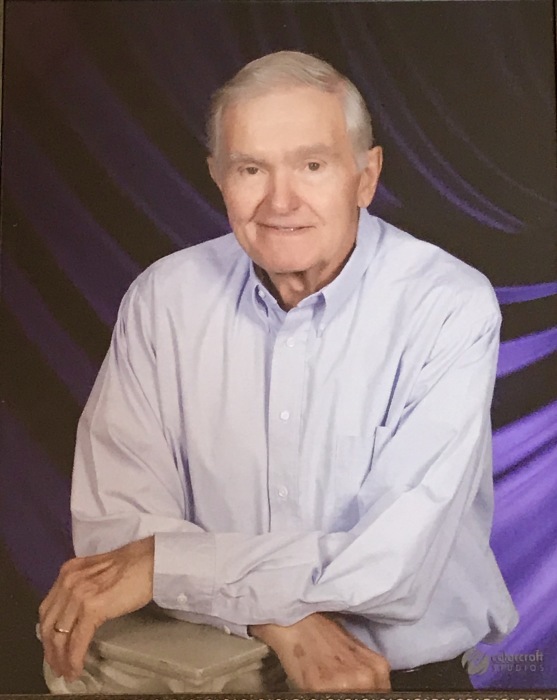 Gene Klavon passed away Thursday, February 7, 2019, at the age of 80, surrounded by family .Gayhart Eugene Klavon was born in Chicago, IL, on March 20, 1938, to Carl and Cecelia Klavon. He served in the United States Navy retiring after 20+ years. He also worked for Lockheed Shipbuilding where he retired after 20 years. He and his wife Elouise were residents of Gautier for 36 years and members of First Baptist Church of Gautier. He enjoyed fishing, hunting and he was a mender of all things broken. He was kindhearted, humble, giving, dependable, compassionate and a perfectionist. You may wonder how all these traits can be in one man, the answer is simple…he was a good mixture of each of these qualities and it served him well and those he loved. In addition to his parents he was preceded in death by a step-daughter, Teresa Mendoza. He is survived by his wife of over 40 years, Elouise Klavon of Gautier, MS; sons, Michael Klavon (Robin) of Orlando, Fl, Andrew Klavon of Leesburg, FL, and Jeffrey Klavon of Westminister, Maryland; step-sons, George Mills Jr., (Elizabeth) of Foley, AL and Douglas Prentice (Brandy) of Portland , Oregon; brothers, Ken Klavon (Jill) of Cornucopia, Wisconsin, and Robert Klavon (Rita) of Leesburg, FL; grandchildren, Dalton , Luke, Logan, Christian and Liam Klavon, Aaron Seitz, Sharley Speed (Josh), and Deven Mendoza (Sami); great-grandchildren, Oliver Humes, Hagen Seitz , Hadley and Lawson Speed. The family would like to express their sincere appreciation for the medical staff that God allowed to cross our path during a very difficult time. The love and care you showed is forever burned into our hearts. Visitation will be Monday, February 11, 2019, at First Baptist Church of Gautier from 10 a.m. -12 noon. Funeral services will begin at 12 noon with Bro David Aultman officiating. Interment with full military honors will conclude at Crestlawn Memorial Park, Ocean Springs. Condolences may be expressed on the Tribute Wall of this website on his page. In lieu of flowers, donations in his memory can be made to the ”Backpack Buddies”ministry of First Baptist Church of Gautier. One hundred percent of each donation goes directly to that ministry. If making a donation, please indicate Backpack Buddies ministry in the memo line of your check.